Need A Couple of Ideas For Your Cabin? Let This Beautiful Home Inspire You. If you’re planning on giving your cabin home an overhaul or just a couple of add-ons then here’s a cabin that could give you some ideas. 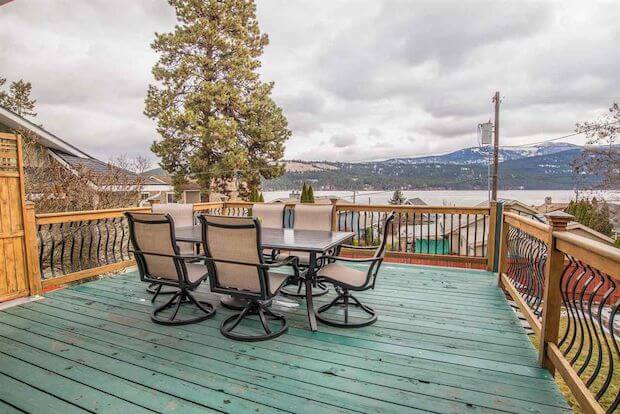 Located in Liberty Lake, Washington, this home is surrounded by the amazing scenery of the lake and the mountains. 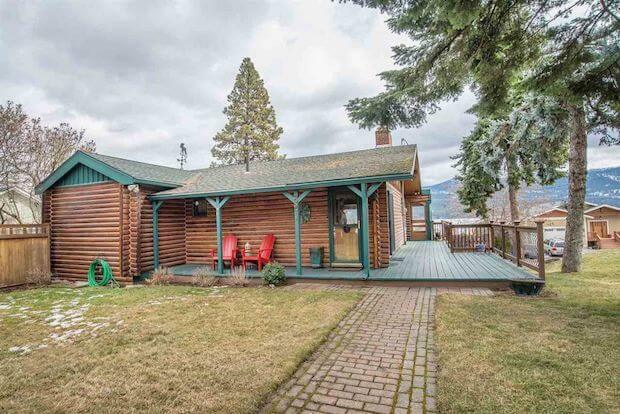 So the best way to fully appreciate these views, the custom cabin has a wrap-around viewing deck from some outdoor living space where one can admire the full expanse of the beautiful scenery. To bring out the cabin’s signature charm its interior is mostly wood with warm colors, the wide windows found throughout the home allows for natural lighting and allows for some picture-perfect views of the outside. 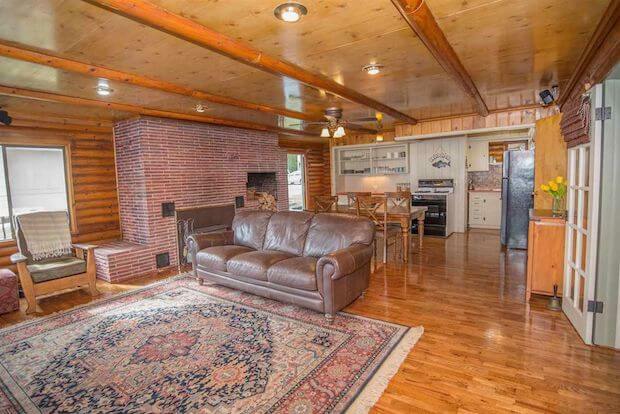 If your cabin doesn’t already have one, try giving it a full-on brick fireplace to really bring out that classic log cabin atmosphere. This property may no longer be for sale, but at least let it inspire you to give your cabin home the renovations it needs to truly enhance its charm. 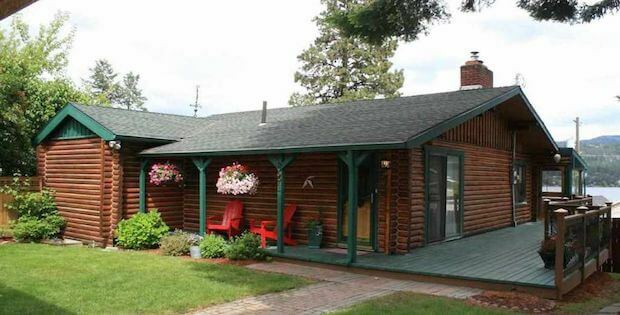 Charm & style abound in this secondary waterfront property with 3 bed/2 bath and beautiful hardwood floors. 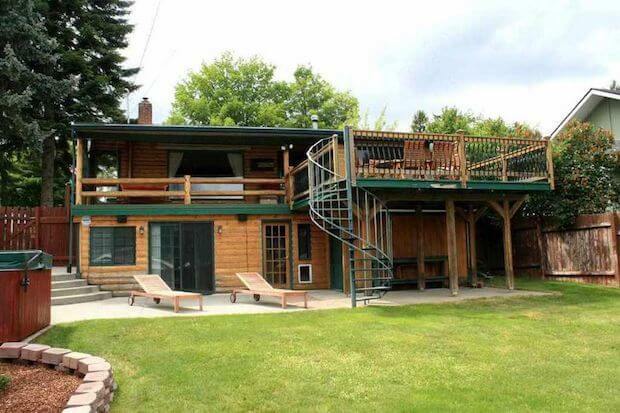 The large wrap-around deck & rear patio w/ hot tub add substantial outdoor living space. Real wood burning fireplace upstairs & gas stove in the comfy FR with adjoining office.